How much ready-to-drink homebrew do you have? Nathan (DesJardin Brewing Blog) and I will be special guests for the monthly homebrewer's meet up at Beer Table in Brooklyn on October 25th. 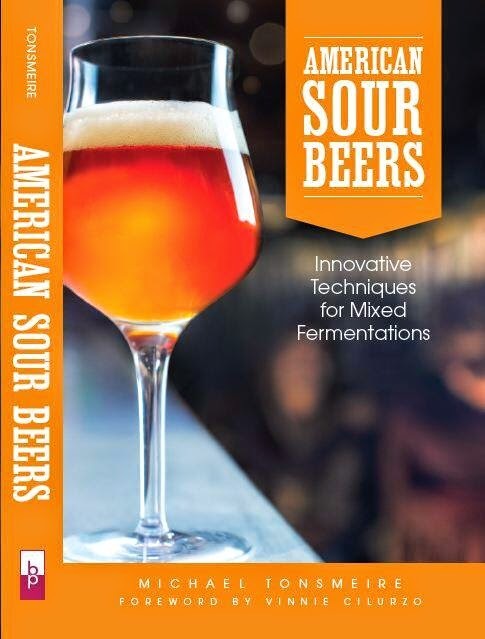 We'll be there to talk kvass, sour beer, our solera project (which recently got a mention from Will Meyers in the July/August issue of New Brewer), and homebrewing in general. We'll also be bringing bottles of our kvass as well as a special blend of our sour beers. I ate at Beer Table with a couple friends while I was up in New York in April. The passionate husband and wife (Justin and Tricia) who run it have a small weekly menu of interesting dishes, a few well chosen taps, and high end bottles that you can buy by the glass. It is a great concept for a restaurant, and it's pretty cool that they have events like this. Hopefully some of you can make it out for the event to say hello. On Monday, October 25th, Jack Algiere (a farmer from the Stone Barns Center for Food and Agriculture) will speak at Beer Table from 7-8:30 PM, telling his tales of hop-growing and discussing his work at Stone Barns. We will taste a variety of beers that highlight particular hop varietals during Jack's presentation. Tickets: $35. Please e-mail [email protected] for tickets. Immediately following Jack's presentation will be our Monthly Homebrewer's Meetup, starting at 9PM. Our special homebrewer guests for this evening will be Nathan Zeender and Michael Tonsmiere. Nathan and Mike are frequent collaborators who share a kink for mixed fermentation and 3 oak barrels with which they experiment with sour beer production and solera aging. They are currently working on an article for BYO magazine about a kvass project with Scott Smith from East End Brewing. There's no charge to attend, just bring your own homebrews to share with others. As always, let us know in advance if you'd like us to have a case of empty bottles waiting for you. Mike, when next time you will be in NY to hold some presentations, courses or speech? I admire your expertise level, amount of time you dedicate to brewing and passion and would like to listen and absorb from you. No plans at the moment, but one my book is complete I'll probably be looking into doing some events for the release. I do have an Intro to Homebrewing class coming up in Virginia this December.